Ahhh Olesja they are fantastic!! You are very talented. Absolutely love the pictures. Everyone has commented to us, how relaxed and happy we look. You made us feel so at ease! Thank you and look forward to the wedding day!! 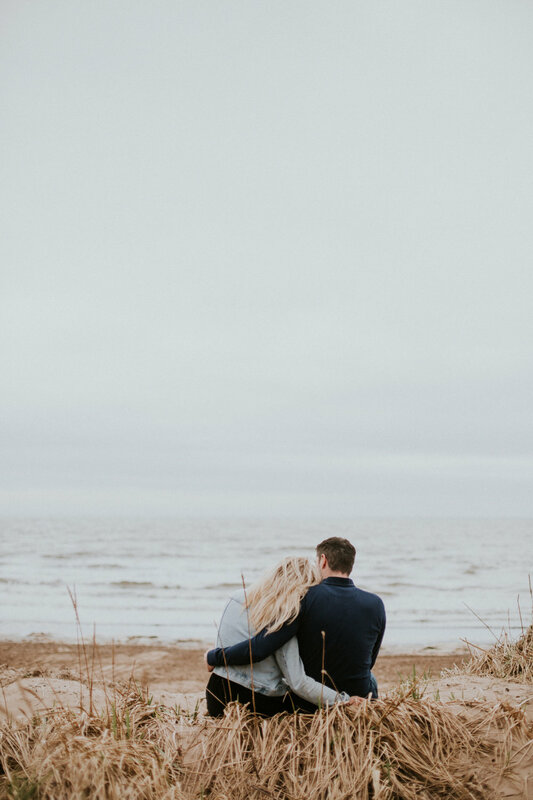 Would you ever consider the engagement/pre-wedding photoshoot before your big day? I would definitely say - yes, go on! 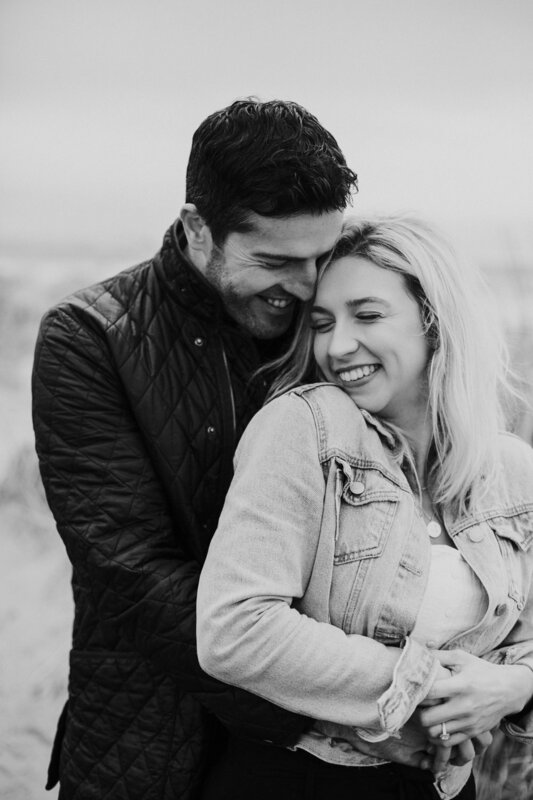 It is a great way to meet before the big day to get know each other and feel more comfortable in front of the camera. It is also great to share the photos with family & friends to get them excited about your wedding day. And it’s absolutely free as it’s a complimentary offer to the full day wedding package. 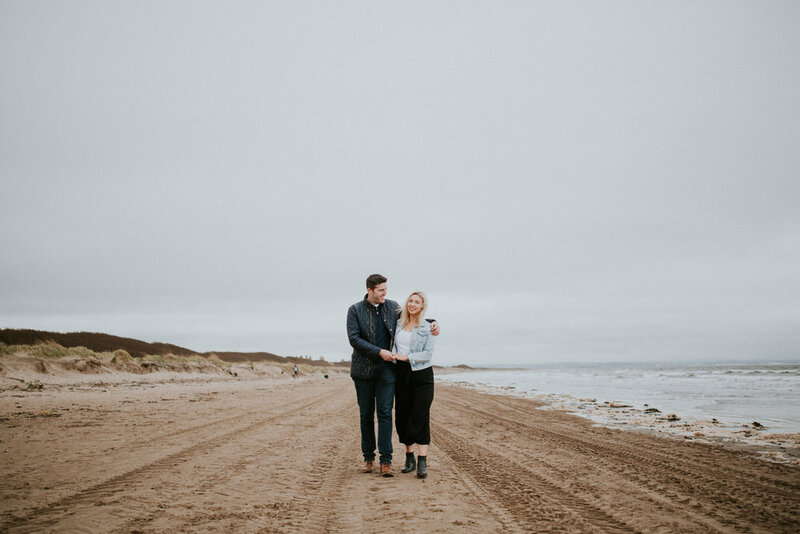 Laura and Russell got in touch with me regarding their complimentary engagement photoshoot in Troon, which is a stunning beach located in the West coast of Ayrshire. 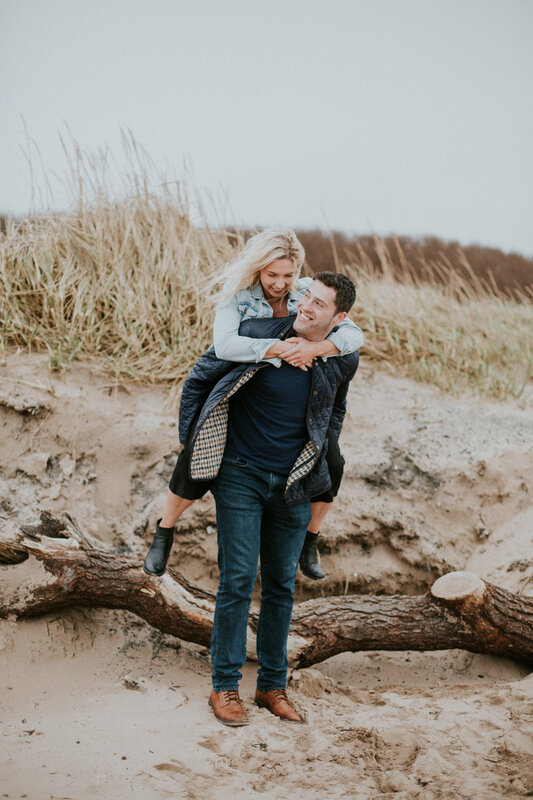 The photoshoot was fun & relaxed as you can see below, and we spent a fabulous time together celebrating their love and Laura’s birthday! Yes, Laura had a birthday on the same day. And it was amazing to have two brilliant celebrations on one day. 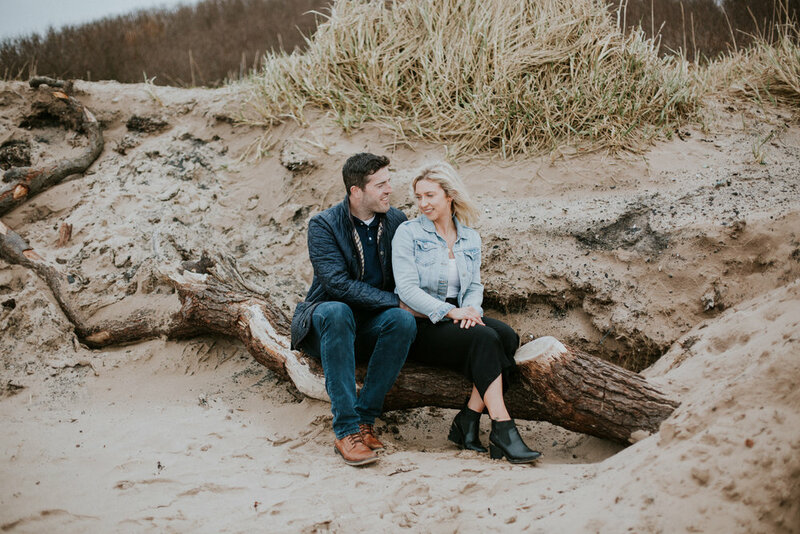 Laura & Russell will tie the knot on this summer at the stunning and exclusive luxury Crossbasket castle in East Kilbride. Looking forward to their beautiful wedding day. 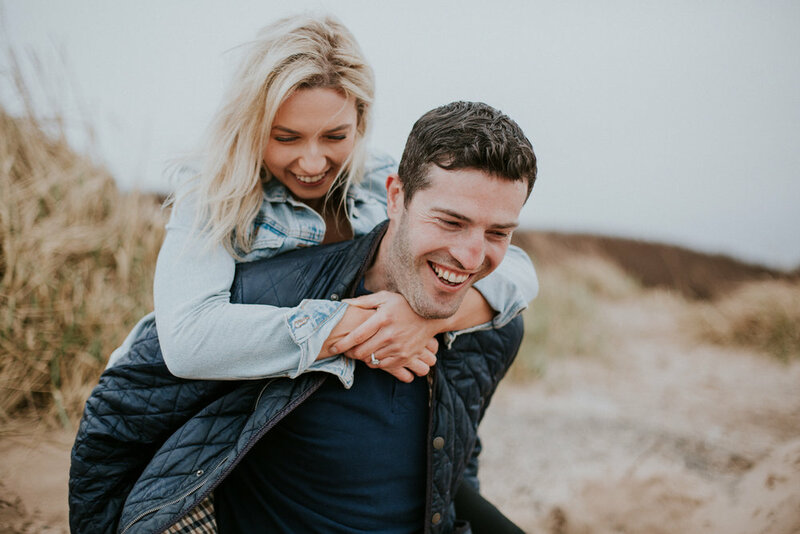 If you’re planning Crossbasket wedding, please don’t hesitate to get in touch!